Face To Face: A century ago, Winston Churchill resigned from the British cabinet to serve on the Western Front. Was this the pivotal moment of his military and political career? 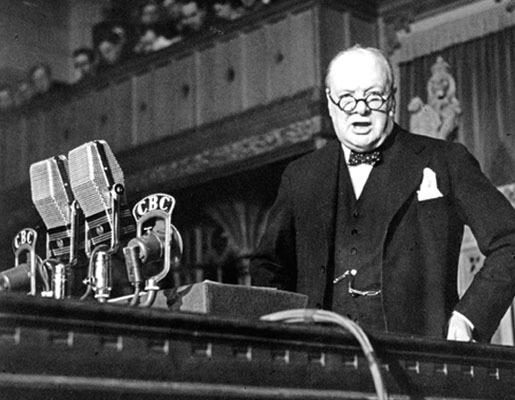 Winston Churchill addresses Canada’s House of Commons, December 30, 1941. Author Andrew Iarocci says YES. It can be difficult to identify the pivotal moment in a military and political career as distinguished as Winston Churchill’s. This was the man, after all, who entered the political arena before the time of the automobile and radio, and was still there in the nuclear age. At times an artist, writer, historian and soldier, he was First Lord of the Admiralty at the outbreak of the First World War, a conflict that was partly the result of a naval arms race between Britain and Germany. At the outbreak of the Second World War, he returned to that post as a member of Prime Minister Neville Chamberlain’s cabinet. In May 1940, King George VI invited Churchill to become prime minister after the country lost confidence in Chamberlain. After the fall of France in June 1940, Prime Minister Churchill refused to consider any negotiated settlement with Hitler’s Germany. He lifted the spirits of his people at a time when any well-informed observer could safely have bet that Britain was doomed to defeat. Surely there were many pivotal moments in Churchill’s life. city fell on Oct. 9. After a stalemate developed on the Western Front in 1914-1915, Churchill pushed hard for alternative strategies that would see a greater role for the Royal Navy. One of these was a prospective landing on the North Sea island of Borkum, followed by operations in the Baltic. German coastal defences ruled out this far-fetched scheme, so Churchill instead convinced the Liberal government of Prime Minister Herbert Henry Asquith to launch a naval assault in the Dardanelles, with the primary goal of forcing Ottoman Turkey out of the war. This attempt was an utter failure, as were subsequent Allied landings on the Gallipoli peninsula. up to late 1915 was, in a word, disastrous. Churchill’s ill-fated plan has been described by historian John Bourne as a “half-baked endeavour rooted in complacency and racial arrogance that never had sufficient resources made available for it to succeed.” His policies at the Admiralty put him in conflict with Admiral Jackie Fisher, who resigned in protest of Churchill’s insistence that more naval assets be deployed beyond home waters. Churchill left the government in November 1915, as Asquith formed a coalition with the Conservatives. Still a member of parliament, Churchill donned khaki in early 1916, commanding a battalion of the Royal Scots Fusiliers in Ploegsteert Wood on the Western Front. Although this was normally a quiet sector, Churchill reportedly made many forays into no man’s land, and it is possible that his experience in the trenches reshaped his attitudes toward the war in France and Belgium. After returning to England, Churchill worked to rehabilitate his political career, and was appointed Minister of Munitions in 1917. In that capacity, he improved the quantity and quality of munitions output for the army. Despite his long interest in naval affairs, Churchill felt that the Admiralty had been consuming too great a share of the nation’s industrial output at a time when the British Expeditionary Force (BEF) was waging a desperate attritional struggle in France and Belgium. Churchill also pushed for “new” tactics on the Western Front, seeking greater emphasis on modern technology, such as the tanks he had earlier sponsored at the Admiralty. Churchill’s fall from grace in 1915, and his 1916 “exile” to the trenches may well have inspired one of the most productive phases of a very long and remarkable career. Thanks to him, the BEF was arguably the best equipped of any army on the Western Front in 1918, the year of Allied victory. Author Terry Reardon says NO. What are we to do for you?” The speaker was British Prime Minister Herbert Asquith, the recipient was the former First Lord of the Admiralty, Winston Churchill. The day was May 17, 1915. Churchill had been fired in view of the disastrous naval operations in the campaign to overcome Ottoman Empire defences in the Dardanelles, a narrow strait in northwestern Turkey. It had been decided that a coalition government would be formed and the Conservative leader, the Canadian-born Arthur Bonar Law, refused to have Churchill in a senior cabinet position—Churchill had crossed the floor to the Liberals in 1904, and it was now payback time. The 1930s saw further deterioration in his standing in the eyes of parliamentarians and the public with his opposition to the negotiations to bring home rule to India, and also his support for King Edward VIII in the Wallis Simpson crisis. Thus Churchill’s warnings of the danger of Hitler’s Germany, and the need to rearm, fell on deaf ears. back to him, he was vastly mistaken. 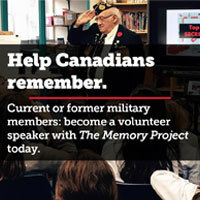 Andrew Iarocci is an assistant professor of history at Western University in London, Ont., and is the author of Shoestring Soldiers: The First Canadian Division, 1914-15. Retired banker Terry Reardon is vice-chair of the International Churchill Society Canada and the author of Winston Churchill and Mackenzie King, So Similar, So Different. PREVIOUS ARTICLEFace To Face: Was Prime Minister Pierre Trudeau justified in invoking the War Measures Act during the FLQ crisis of October 1970? NEXT ARTICLEShould Canada and its allies intervene in Syria?